When I first heard that Netflix was going to do some original programming showcasing some Marvel Comics characters, I have to admit....I cringed just a bit. Don't get me wrong, Netflix has done a pretty decent job of doing original programming "right" as evidenced by watching Lilyhammer or Orange Is The New Black. I cringed because they were trying to bring super-heroes to television. Something that doesn't always work out so well. 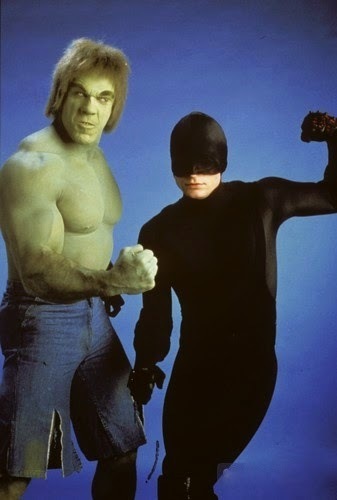 Back in the late 80s, Marvel tried a, sort of, 'backdoor spin off' series of Daredevil in "The Trial of the Incredible Hulk" movie. The series never took off, but it did give comic fans something they hadn't seen, up to that point. I remember being pretty pumped about more super-hero themed shows getting exposure and I didn't even balk (too much) about the facts that his suit wasn't red or that he didn't have horns on his mask, or that he didn't have the DD symbol on his chest. I mean, we had Daredevil on screen.....it wasn't the time to nitpick. Later on, after seeing Affleck's (who was 'da bomb' in Phantoms, yo!) Daredevil, THAT was the time to nitpick. Needless to say, I wasn't a fan and had, by that point, become more jaded about seeing super heroes on the small (or large) screen. Ham fisted 'thespian', Affleck, stinking up the screen in a red suit. 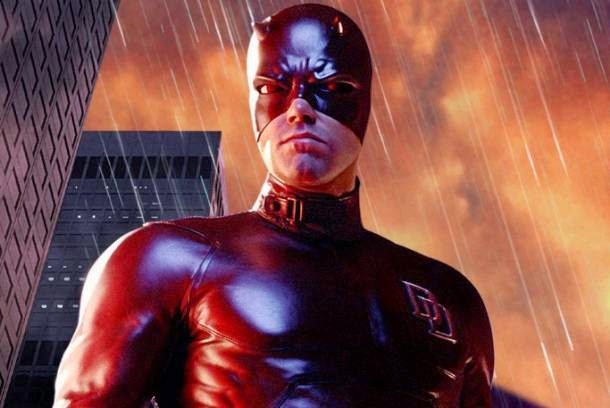 When I heard Netflix was bringing Daredevil back to the small screen I had some mixed emotions, but knew I'd still give it a try. And,boy, am I glad I did. I'm about four episodes in (I told my wife I'd wait for her to catch up,so we can finish the rest together) and am really enjoying it. It's got the gritty feel that you'd expect from a show about someone who's decided to don a mask and fight crime in Hell's Kitchen, New York. The cast is solid. From Cox's Murdock/Daredevil to D'Onofrio's Wilson Fisk/Kingpin, with the only (sort of) weak link being Elden Hensen's Foggy Nelson, who I hope gets a bit more development. 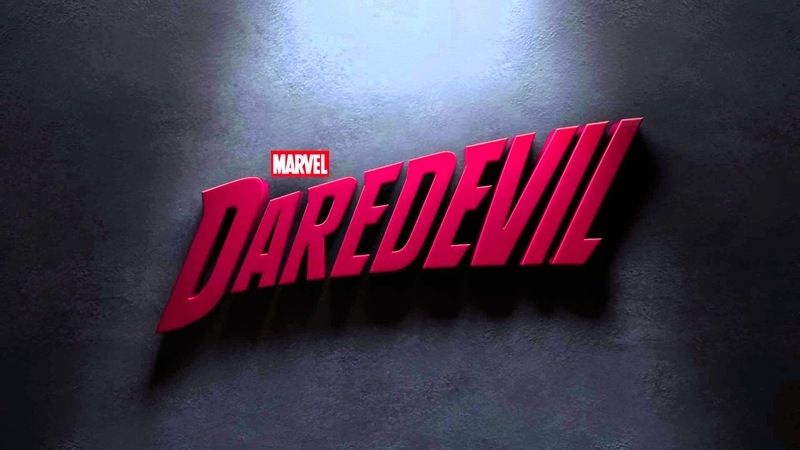 The writing is pretty good and, as someone on Twitter said, "In the first episode of Daredevil, we see more Marvel continuity then in two seasons of Agents of S.H.I.E.L.D". Like I said, I'm only four episodes in so things could really go either way, good or bad, with this one,but I find myself oddly optimistic that they'll hurdle that high bar they've set for themselves. If you have Netflix, give it a shot and let me know if you're liking it....or not. More on this topic later, I'm sure. I've been binge watching today and am on episode five! NetFlix series just blow everything else out of the water. I think you can thank Drew Goddard for DD's success, as opposed to Jed "I really got this job on merit, really" Whedon's "work" on SHIELD. Who'd have thought that watching a show about superheroes is more fun than watching the guy from "The New Adventures of Old Christine"? Mark: LOL! No doubt about that. While I find Gregg's "Son of Coul" a likeable enough character, there's no way you can run a top secret, super-spy organization by being all touchy-feely. Just ain't gonna happen. Whatever Goddard's doing, I hope he keeps it up. Glad you're enjoying the series and that netflix is featuring some quality programming. I hope the rest doesn't disappoint! Thanks for the review, Mark! I've been curious, but haven't taken the plunge yet. My family and I are in between about four shows on Netflix at the moment, and the decision on which show to watch varies . . . right now, we're all irritated at plot-lines/character development on two shows, only two out of four family members are enamored with one show, and then, we all like Blacklist but none of us feel comfortable watching back to back episodes of it since it has its grisly moments (at least for our family - even with teens). So . . . maybe I can convince everyone to give Daredevil a try . . . I actually just heard yesterday about Daredevil on Netflix and my friend gave it a glowing review too. I must check it out! I have the DVD of the TV Hulk movie and it's cute in many ways. LOL My brother's been watching these and they sound incredible. I'm getting Netflix just to watch this show. So, the marketing works.